Development of a marine based residential city located approximately 40 kms. 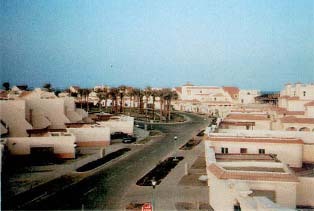 North of Jeddah, Saudi Arabia, adjacent to Jeddah Touristic City (Durrat Al-Arus No. 1). The project comprises 300 Ha site, which included 10.5 million cubic meters of dredging to allow sea within the area and backfilling reclamation to introduce sea front land. All shore lines were protected using rock armour and provided with underwater culverts and road bridges to allow water circulation between the "finger" shaped land strips, the artificial lagoon, the artificial island and the existing sea creek. Master Planning, dredging and backfilling, hydraulic design and infrastructure as well as preparation of tender documents and tendering, construction cost estimates and schedules, construction management and supervision of construction.